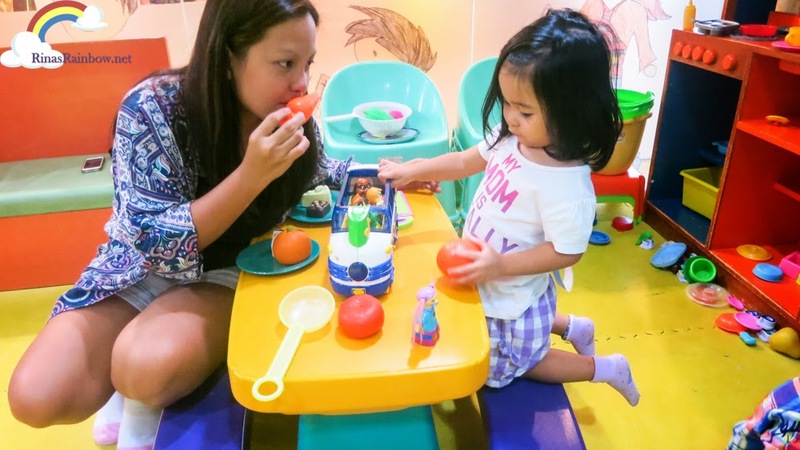 So remember that time when I was venting out that there were no play places in Greenhills where I could leave my 2 year old daughter to play while I attended to something? Turns out I was wrong. 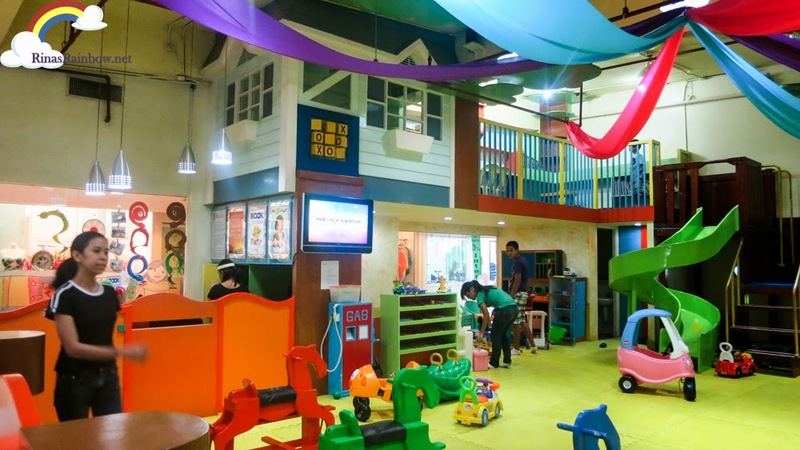 There IS a play place in Greenhills. And apparently, it's been there for TEN YEARS! It's located in Shopsville beside Netopia on the 2nd floor, in one of those back halls. No wonder I have never seen them before! So as soon as we got the chance to schedule it, off I went with Rain! 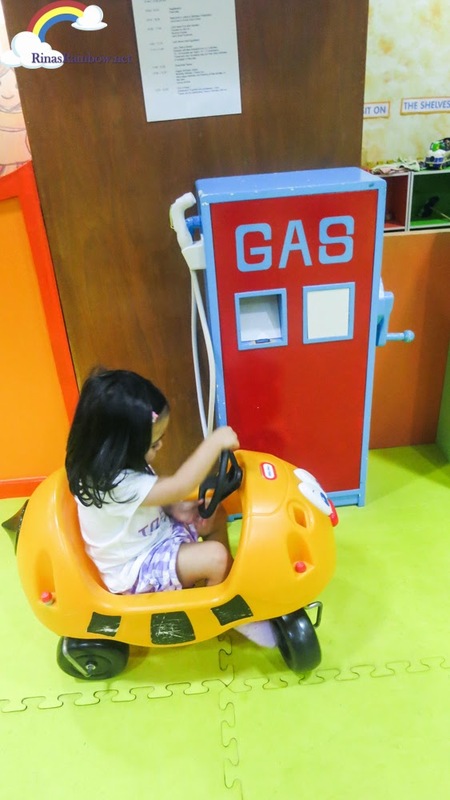 At first peek, one can't help but compare it to the newer and grander play places in huge malls. Sorry but it can't be helped. 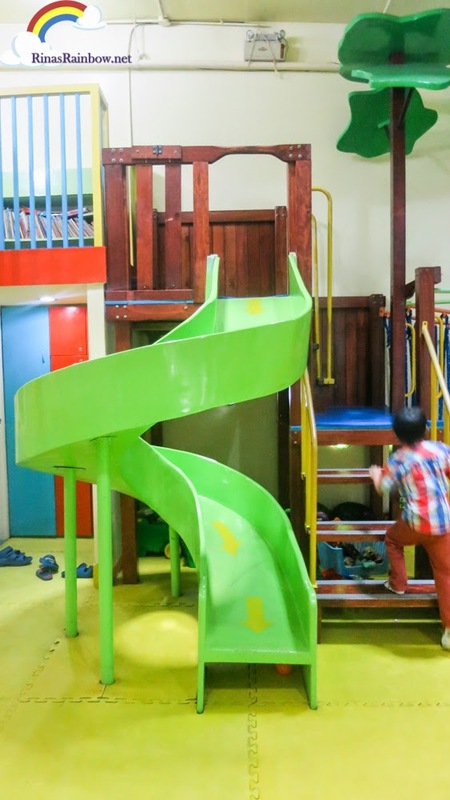 I've seen 2 or 3 amazing and huge play places with gigantic slides, and that have been constructed to make you feel like you're in Play World instead of just a play place. 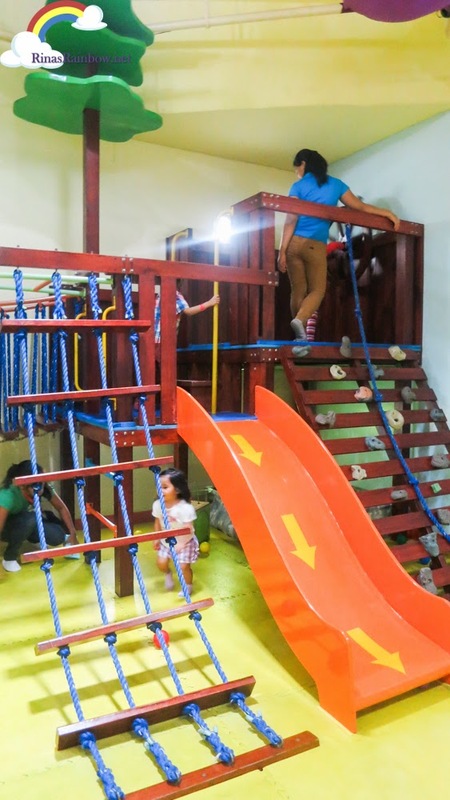 Kid's Workshop is around 100 square meters, with slides and obstacles and lots of toys. 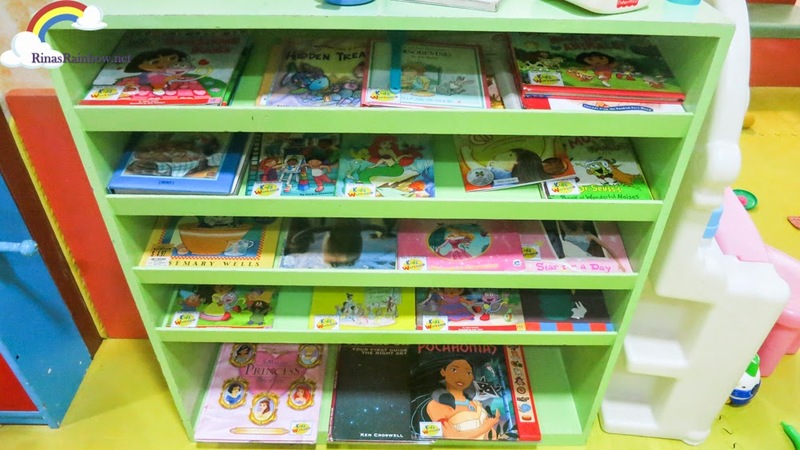 BUT later on, I found out that Kid's Workshop is an excellent example of the saying "don't judge a book by its cover". 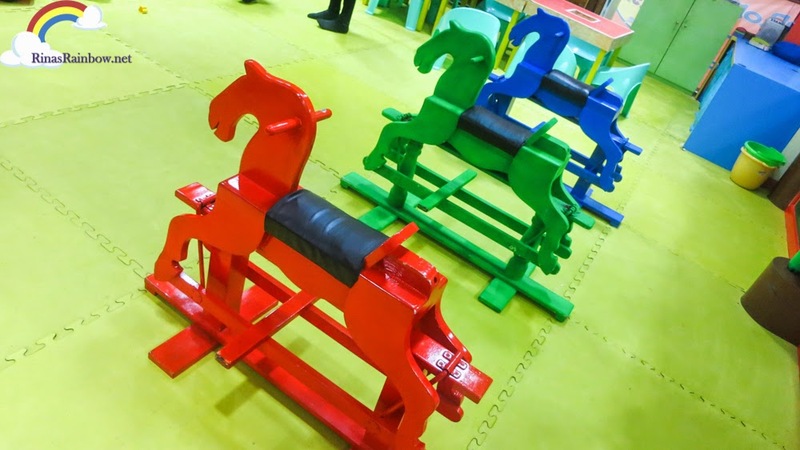 Upon entering the play area, your kids are greeted with these cool wooden rocking horses! Or if your kid fancies automobiles over horses, they also have two cute little tikes cars, and in the corner, there's even a gas station. 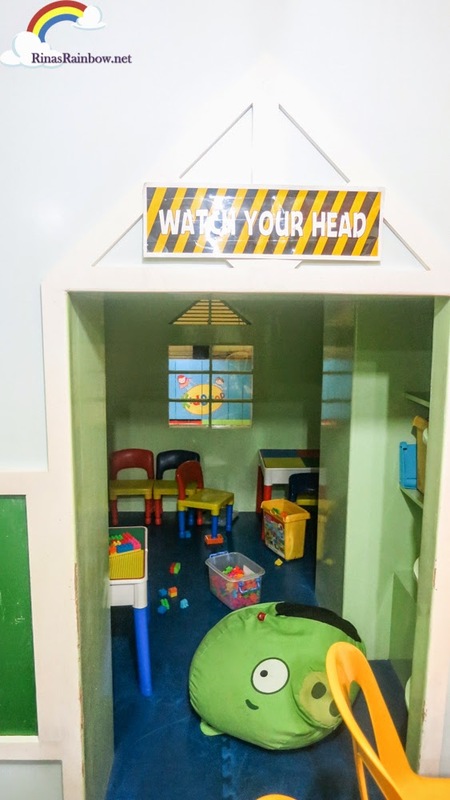 There's also a small hut, with a soft cushioned mad so kids can lay down a bit, play puzzles, and more! There's a 2nd floor on the left side where a little house is situated. Looks like a tree house, without the tree. The fun hanging bridge in the middle. It's actually quite scary to walk through it! Hahaha! Even I got a bit scared! 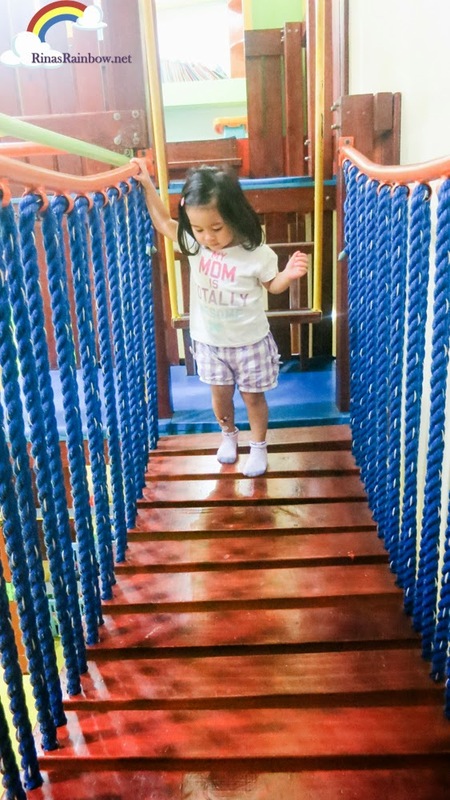 Rain was also very careful when she felt how wobbly the bridge was. But she managed. After all, that's part of the fun of hanging bridges! 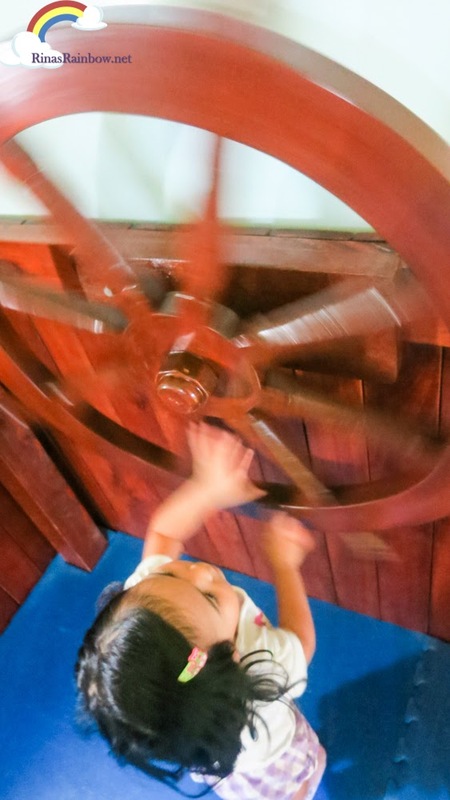 When you cross the bridge, you'll see a big Ship's wheel. This is the part where you can play Pirate! ARRRRR! 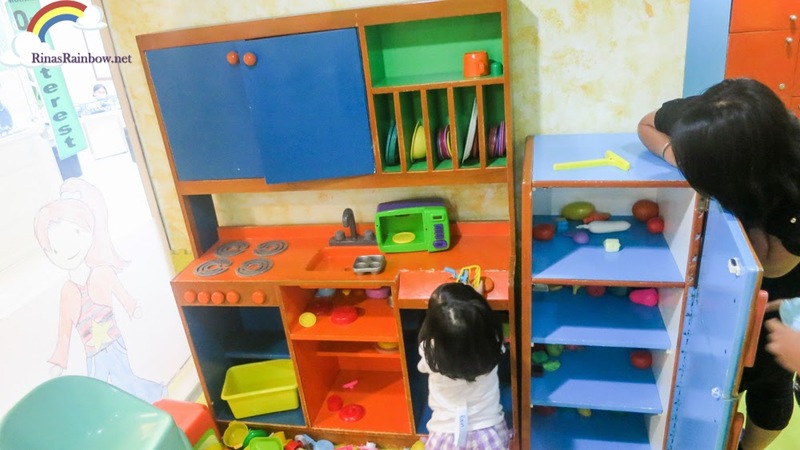 When your kids feel like cooking a meal, they can always pretend play at the kitchen area. There are actual cupboards, pretend sinks, even a pretend microwave and ref! Share a seat, win a friend! Haha! After that she went to her dresser to "retouch" haha! 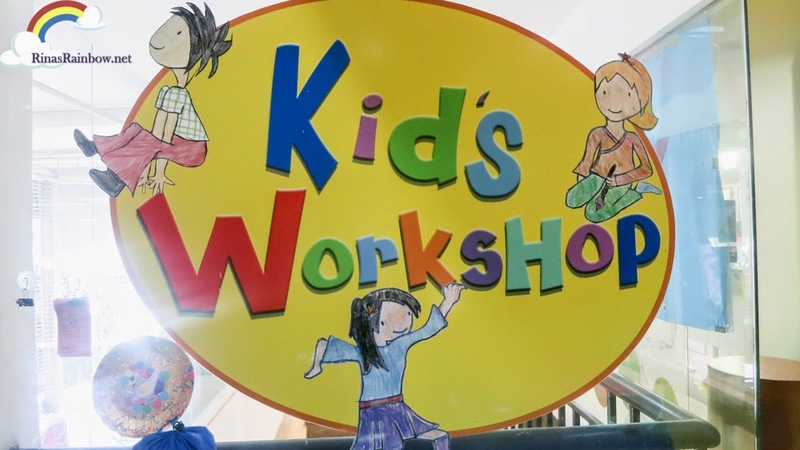 What Makes Kid's Workshop Special? 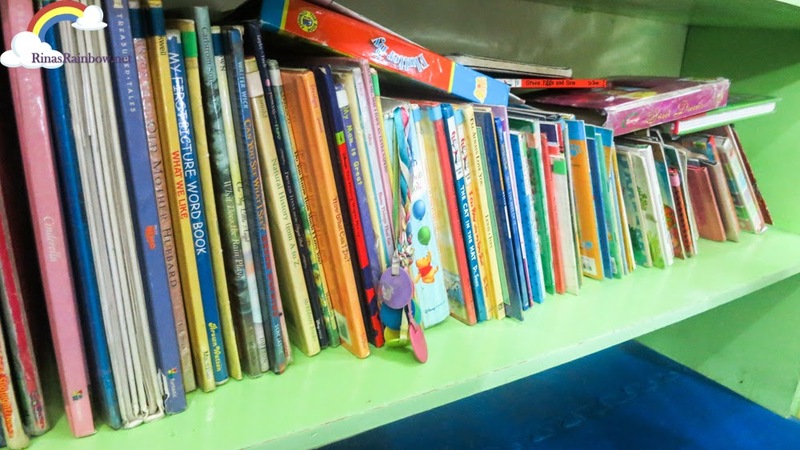 And another bookshelf in the second level. 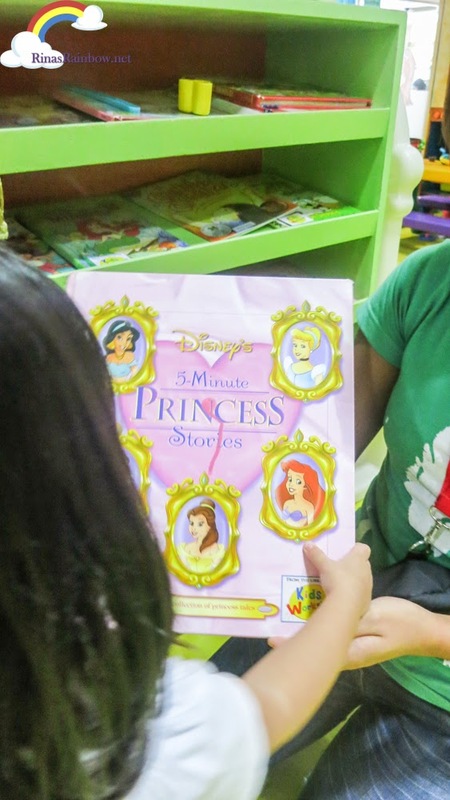 Rain was immediately grabbed this Disney Princess 5 Minute Princess Stories featuring of course the famous Disney Princesses! 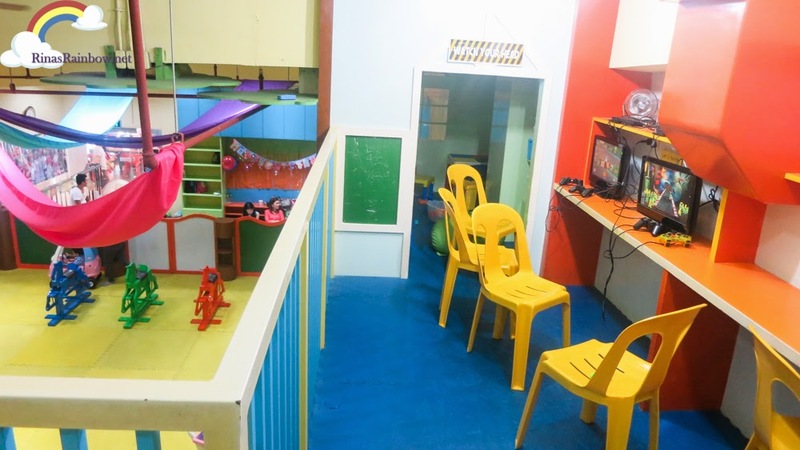 On the second floor is a little heaven for bigger kids because there are two gaming consoles free for everyone to use. And this is the little play house. 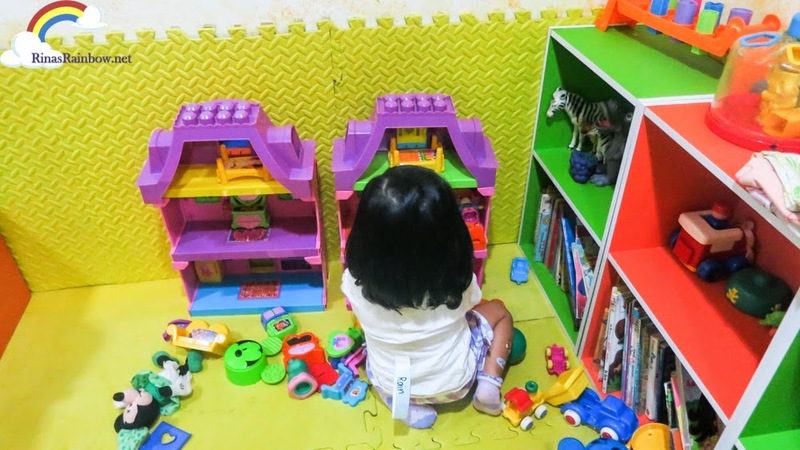 It's a simple small room with building blocks, small tables, and chairs. It's quite dark though. There's one faint light bulb, but no worries because I saw that it has a CCTV camera since it's a hidden area. An hour or so later, one of the guardians called everyone for Music time! She placed a mat in the middle where the kids could sit comfortable, gave them each a pair of drumsticks with tassels (Except Rain. Her drumsticks didn't have any tassels since she might trip on them. Anyway, they played a video that they will need to imitate. Also, I guess the instruments are different each time. Here's a quick video of their music activity that afternoon! I like the idea that the activities are quite short, so that it doesn't get boring after a while. The duration is just enough for a toddler's attention span. Well, in the case of "Princess" Rain, after a while she went to the back and sat in one of the chairs. But still continued her drum tapping while sitting down hahaha! Although it's for an additional fee, they also have art sessions. 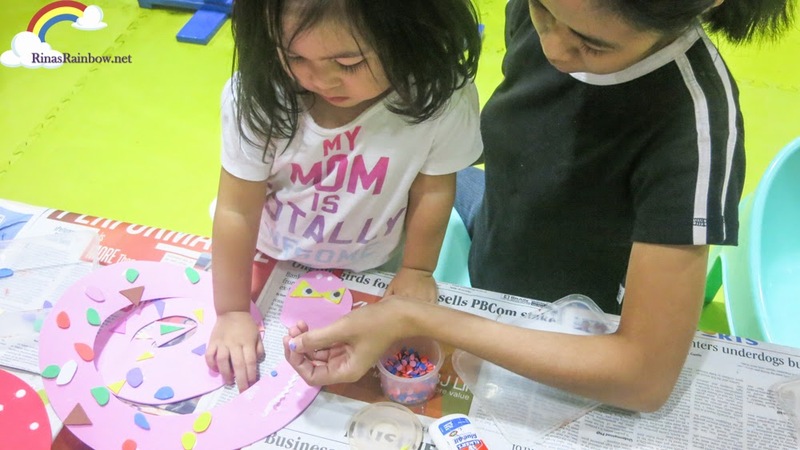 They provide kids with fun materials shaped in animals or swords, and the kids can have dun dressing them up and personalizing them with laces, foam confetti, colored markers, etc. 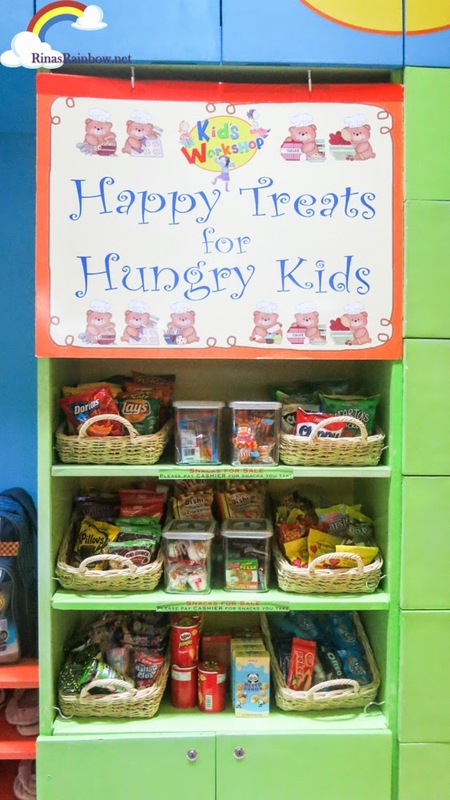 Upon checking your kids in, the staff will ask you if you will allow your kids to get some snacks from their snack shelf in case they get hungry while playing. And then the cost will just be added later on upon check out. If you agree, they will check with you to see if your kid has any food allergies. This is a smart idea in case the children's parents arrive a little later than planned, and this also means they won't have to leave the area to grab a quick snack. Oh, and by the way, there's a toilette and wash bin inside the play area so kids and their guardians don't need to leave the play area if they need to do number 1. Or 2. Haha! 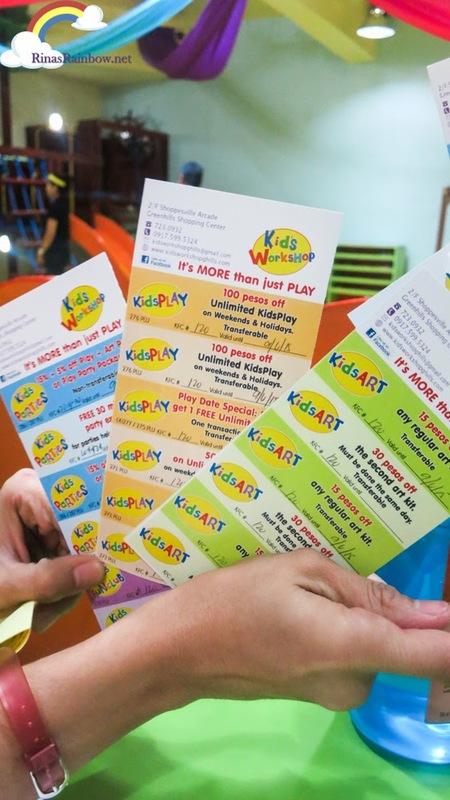 - Members can use the discount coupons for KidsPlay, KidsArt, KidsParties, KidsPlayDates and for the renewal of membership. 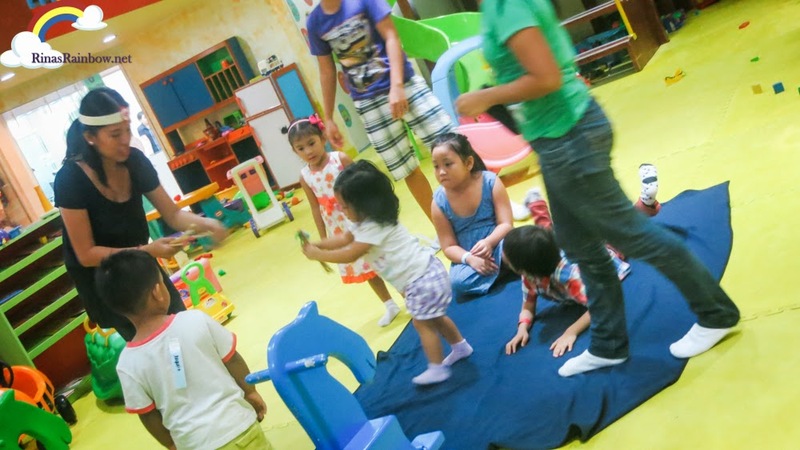 - Members get 15% + 5% off on KidsParties (Yes you can rent them for birthday parties!) + a free 30 minutes extension if the party is held from 10 am – 1230 pm. 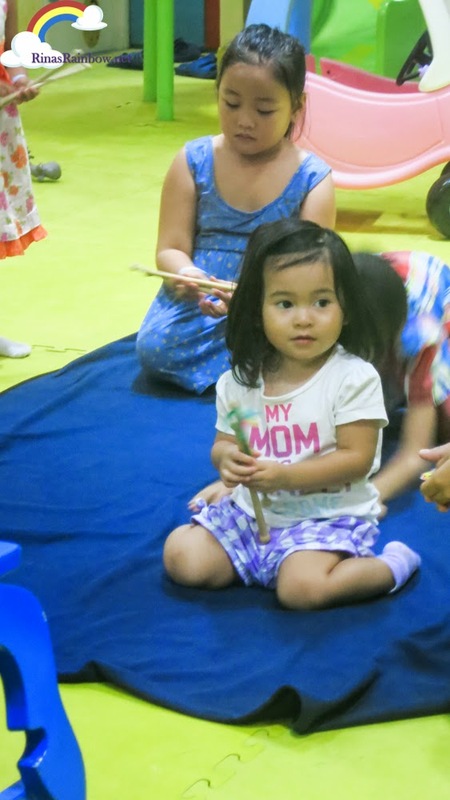 - Members may attend an annual KidsFUNclub Get2Gether at 75% off. 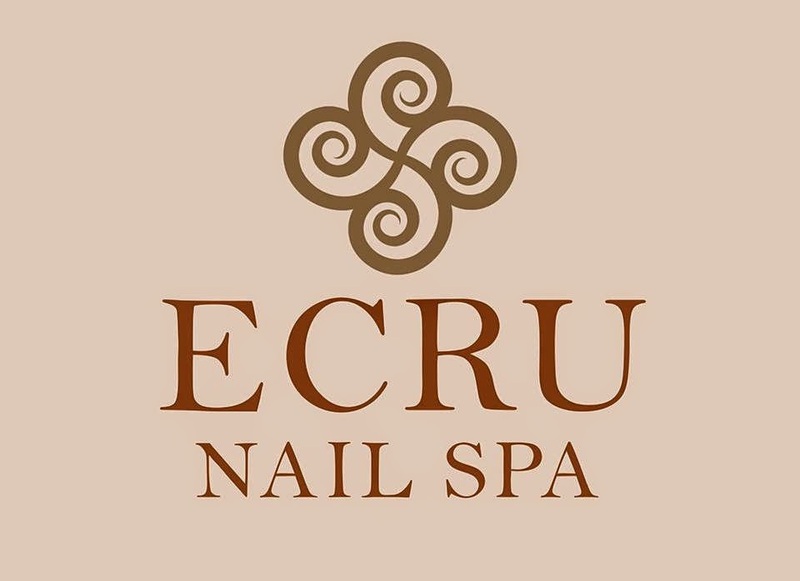 Invited guests get 50% off. 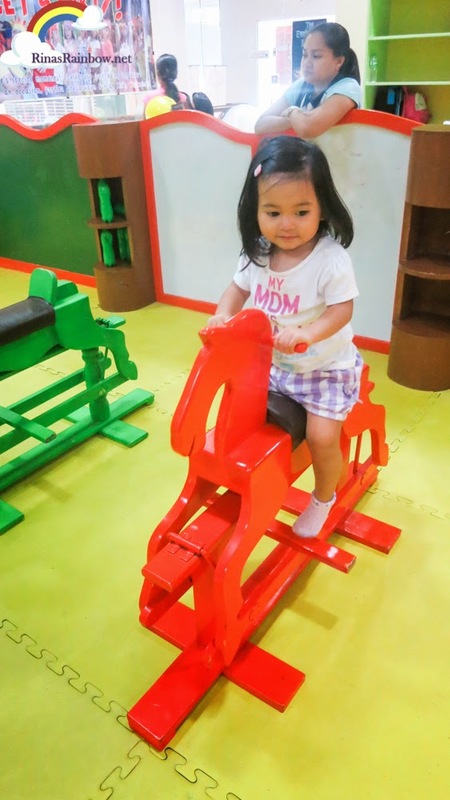 The Fun Club fee is only 550 pesos per child for 1 year membership. This already includes your kid's membership card and discount coupons. 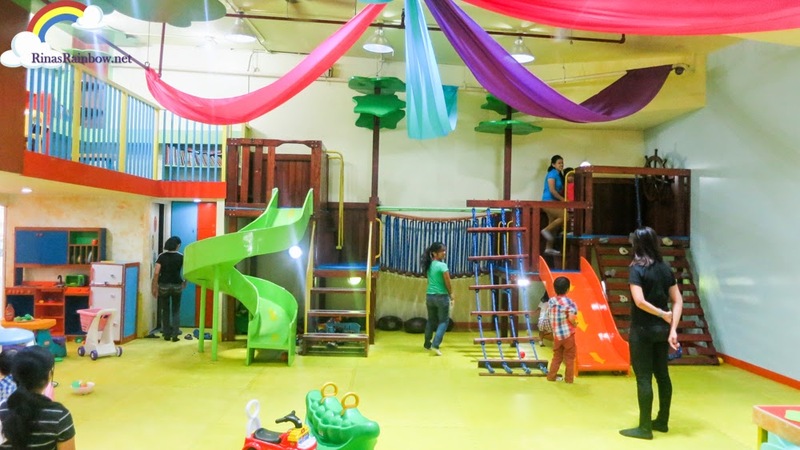 So even if the place doesn't look as fancy as the newer and bigger play places, their activities definitely help children's creativity, imagination, and most importantly it gives them the chance to do activities with the other kids as a group, and not just play by themselves in different corners of the play room. Most importantly, you know your child is in good hands with the kind staff. 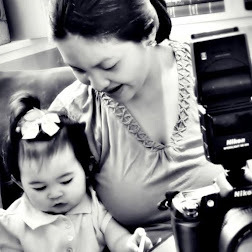 I have always been looking for fun and safe places for my darling toddler. Shes so hyperactive and loves to play and this sounds like a place she will surely enjoy. 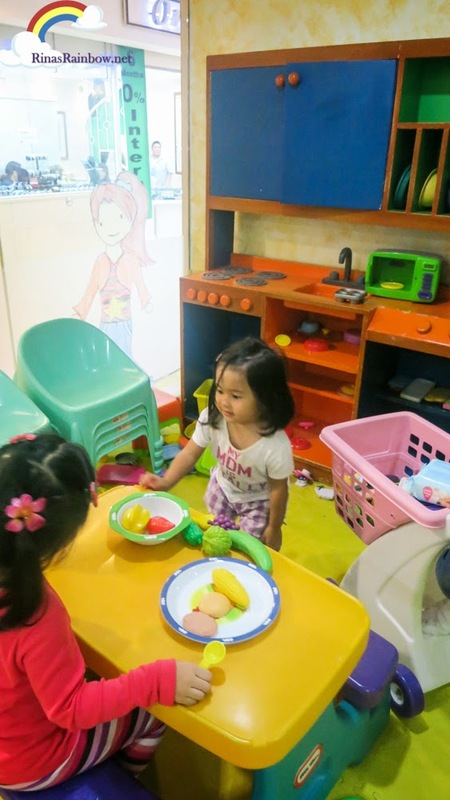 An added plus is the small group activity done by the staff in which other play places don't offer. 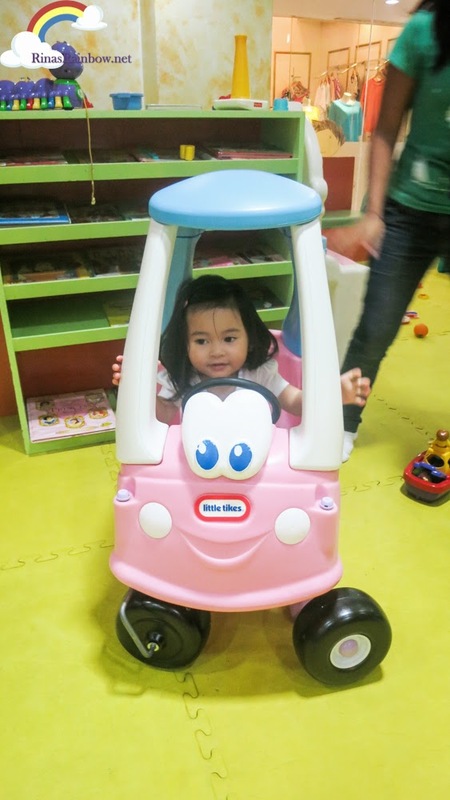 I had once noted the indeed greenhills was a place for adults where you do shopping for 'mummy stuffs' as coined by my little girl. Coz I have not seen play places for kids. And I am so wrong. 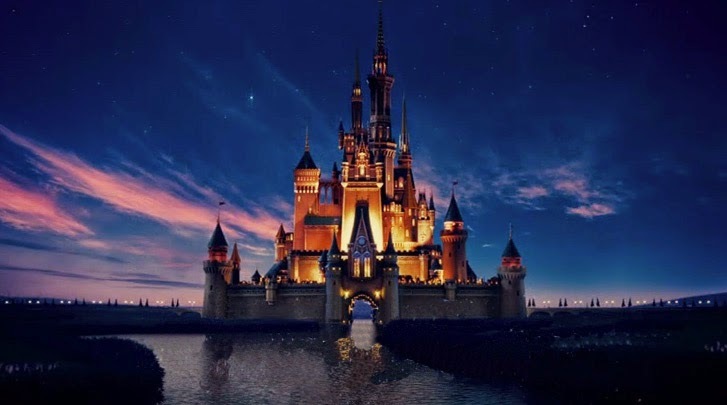 I will visit this place one day.